I gave up sweets for Lent. Again. Of course, now that's all I can think about eating. Suddenly, treats that normally wouldn't be at the top of my list are making my mouth water. 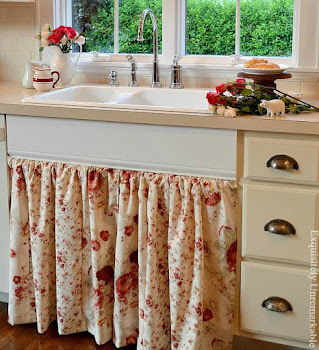 And wouldn't you know it, now everyone around here has the baking bug. Their latest confection obsession? 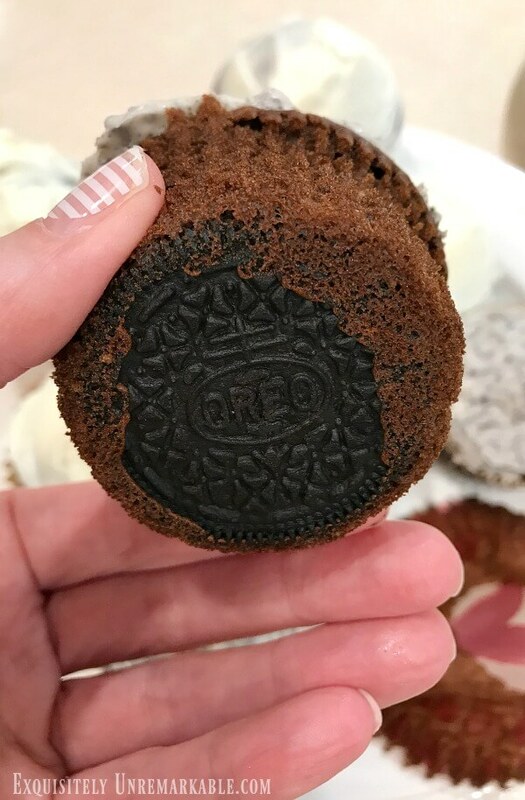 It's a completely over the top cupcake, made with Oreo cookies and Oreo frosting. On a normal day, this might be a little too much for me, but today, it's all I can think about. Rich chocolate and a cookie baked into it on the bottom?? It's crazy, right? Since I can't actually eat any of those dreamy looking treats, or indulge in an Oreo smoothie, I figured I could at least write about them and maybe that alone will quench my craving. Well, I don't actually think it's going to work, but I'm going to share anyway. So I know I've mentioned that we have a vegan around the house. Lucky for us, he happens to be a very good cook. He's actually learned how to modify most meals to make them fit his lifestyle, plus he really enjoys the process. 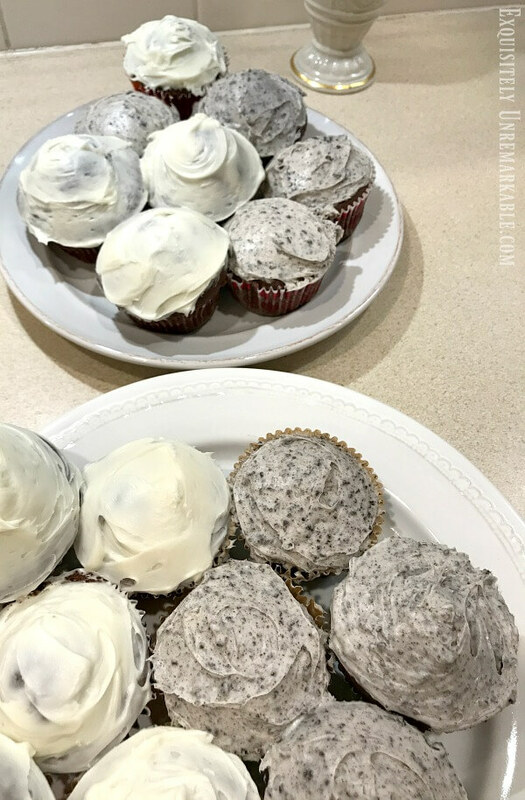 One night, when he was craving dessert, he whipped up a batch of vegan Oreo cupcakes. Did you know that Oreos are vegan? Apparently, they are. My daughter was quite taken with them and recently decided to make a batch of her own. She, however, is not a vegan, nor is she into the culinary arts. She, like her mama, just wants to eat and therefore took the quickest and easiest route to get there. Needless to say, unlike the vegan variety, hers were not from scratch. They were, from what I'm told, just as good, perhaps, even better. Although, that depends on which kid you ask. The vegan cupcakes get rave reviews, too. Keep in mind that you can modify this recipe to make any kind of cupcake/ frosting combination you like. You can also choose whatever kind of Oreos you want. They come in way too many varieties to list, but you get the picture. Just pick your favorites and start baking. She made devil's food chocolate cupcakes with vanilla Oreo frosting. I believe she may have even added a few chocolate chips into the batter. Are you ready? It's kind of technical. No it's not, I'm kidding. Step 1: Prepare one boxed cake mix according the directions for cupcakes. 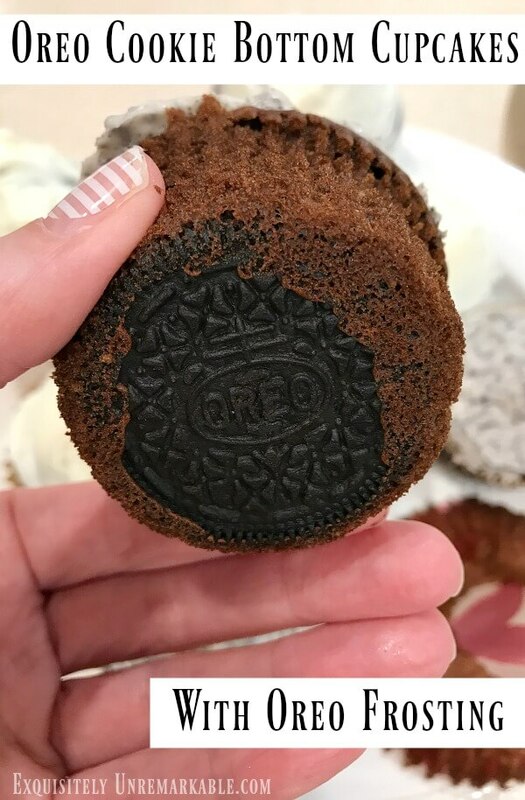 Step 2: Line the cupcake pan with pretty liners (because looking good on the counter is just as important as tasting good ~ says the home decor crafter) and place an Oreo cookie in the bottom of each liner. Step 3: Pour the batter into the liners and bake according to the directions on the box. While they're baking, place an Oreo in between two sheets of wax paper and crush it with a spoon. Keep crushing until your pieces are very small. 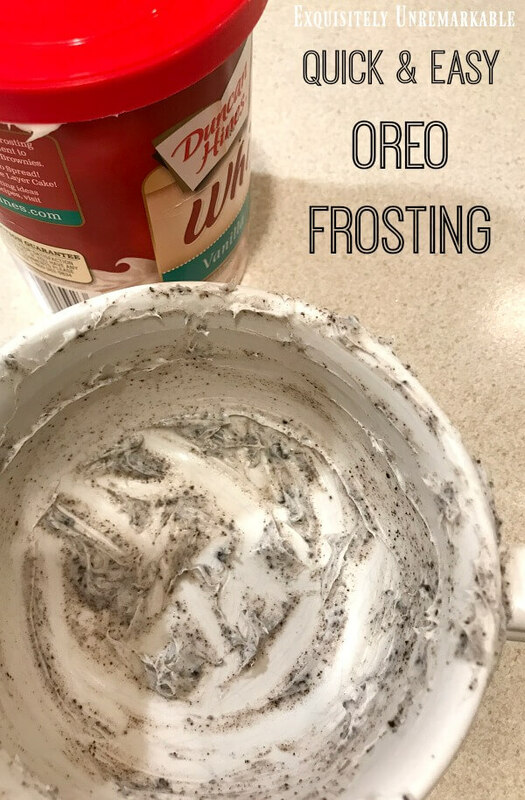 Grab the Oreo crumbs and mix them into the vanilla frosting to make Oreo flavored frosting. When the cupcakes are done and cooled, frost them. See? Simple. But you'll look like a pro. Your guests will have no idea that there's a sweet treat on the bottom until they bite into them...but what a fun surprise!! I have to say, I love this recipe, because it's basically foolproof. It's a good one to have on hand if you're baking with kids or grandkids. I remember a mom bringing these cupcakes into the classroom when I was teaching first grade back in the early 90's. She said the kids loved making them since even the little ones could be very successful. I've found this to be true myself. And that says a lot. They're now a staple in our house for holidays, sleepover parties...Wednesdays....Thursdays...Fridays. It's cupcakes for everyone. At least not for another 27 days. Fun idea. Very clever. 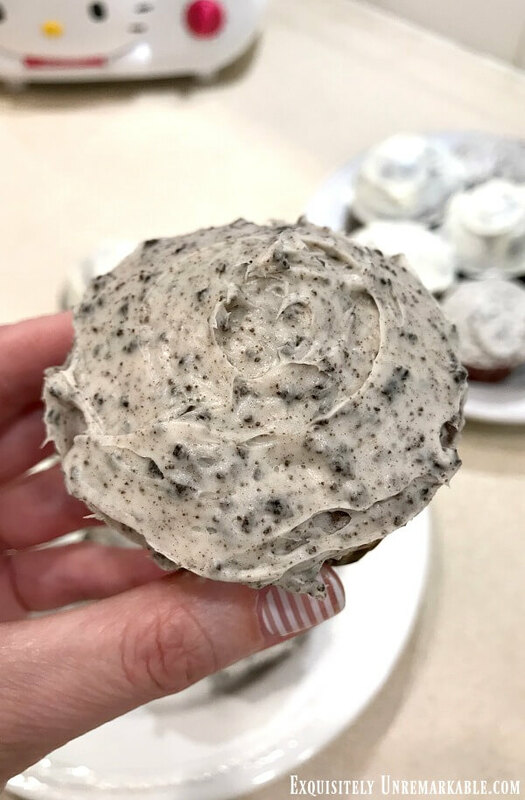 I have made the Oreo truffles with crushed cookies and cream cheese but this is another great idea and faster and easier than dipping all of those truffles. I didn't know that Oreos were vegan either. Our vegetarians eat dairy and eggs so usually baked goods are safe. My niece was vegan for awhile and that does pose a lot more challenges. Oreo truffles are way beyond our skill set over here, Lorri, but wow, they sound good! And apparently Oreos have always been considered vegan, there are no milk products in the recipe. Then I read that recently that the company put out a statement saying that there could be the possibility of milk cross contamination since milk products are used in the factory…but our vegan doesn’t seem to mind! And frankly, I think that’s the case with most of these products today…Oreo just seems a little more honest about it. Oh Kim, you could do these truffles. Crushed cookies mixed with cream cheese, rolled into balls and chilled. Then you dip them in melted white or chocolate almond bark or chocolate chips. You could even roll them in nuts or sprinkles or more crushed cookies and skip the dipping altogether. I think that you are correct about cross contamination of products at the factory. I think the same thing sometimes happens with gluten free stuff. Wow, they sound amazing...I think I might be able to do it. Maybe I'll have my vegan help out. He doesn't have to eat them..but he's the chef around here! I think this is a great idea!! I am not normally a sweet fan, but these seem fun. They are super fun, Penny and on a normal day, I couldn't eat more than a small bite, they're very, very sweet. In my deprivation dreams of course, they're just right! Hi Kim, oh wow these look and sound so good. This would make a really great dessert to serve for easter with a peep on the top. I will have to make these. I gave up eating potato chips for lent. I am starting to not miss them but I've been eating girl scout cookies that we bought from one of the neighbors. Thanks for this great idea for cupcakes. Who new that Oreo cookies were vegan! LOL. Julie, that’s so funny, because now that I’ve given up sweets, all I’m eating is chips! Ha! And I love your peeps idea. How adorable. YUM! Perfect recipe...I prefer to refer to these types of recipes in the Sandra Lee manner...semi-homemade...I mean, you did make it at home, right? ;-) Love and hugs! Awesome, Benita...that's my philosophy, too!! These look so good. I have done the sugar cookie pressed on the bottom of a 13 by 9 pan and then you layer Oreo cookies on top of that and then pour brownie batter on top of that and bake. So rich and delish. I feel giving up for lent is not the right thing but to give more a better option. I try to do more for others during lent instead of giving up something. Just seems better in my mind. Terry's fave cookie is an Oreo. So I might have to try these cupcakes. Have a great week Kim. Oreo Oreo Oreo .. oh yes.. we love them here at this house too. In fact when I buy them, I keep a secret stash just for me, out of sight from the boys. I don't blame you a bit, Carla!! What a nice sweet idea! I can hardly wait till my granddaughter is old enough for us to bake together!! These would work for a birthday also instead of a regular cake. Have a lovely week!! This would make an awesome cake, Angela! Yum!! What a fun recipe! Now you are making me hungry! They sound delicious and they're so easy to make. My kind of recipe! Those look amazing! You can't unsee this, they look delicious! They're burned in my brain, Susan!! Many thanks for sharing this recipe Kim. Oh...I need to check that out, Jan! Thanks for sharing! 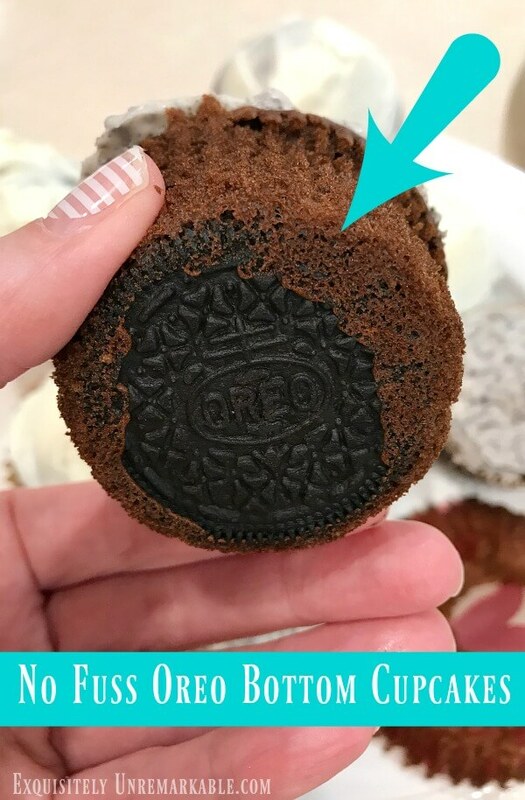 My husband and son would really enjoy this recipe- they love oreos. Last fall my nephews visited and we made fried oreos for the first time. They loved them, but I preferred the golden oreos. Oh my goodness, they make those around here, too. Decadent!! Kim it must be in the spring air. Suddenly I'm also craving sweets in an awful way. 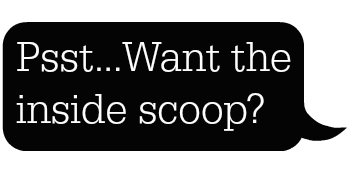 And you know I should have very little, I bought myself a great big tub of ice cream the other day so just keep me away from all those sweets. A tiny bit at a time, Mary!